The Flash Chorus came together in South Carolina to pay homage to Perfume Genius’ tender track. Yesterday, the ad-hoc community choir Flash Chorus posted a video of their South Carolina chapter singing "Dark Parts" by Perfume Genius. 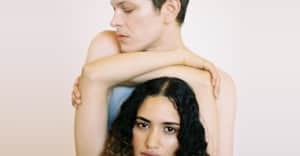 The performance is an emotionally charged interpretation of the song that Mike Hadreas (the genius behind Perfume Genius) wrote for his mother, taken from his second album, Put Your Back N 2 It. Hadreas retweeted a link to the performance with an appropriate amount of crying emojis. Hadreas was clearly very moved. The eclectic collection of faces and voices come together with Hadreas’ songwriting in a way that will give you chills, especially when they harmonize to the ending line: I will take the dark parts of your heart into my heart. Honestly, this content is NSFW because you’ll probably cry too.